On Thursday, the Xerces Society for Invertebrate Conservation issued a report finding that the population of monarch butterflies overwintering in California had fallen to the lowest level ever recorded. Monarch butterfly experts say much of the blame for the species’ demise can be aimed at habitat destruction, particularly in overwintering areas of California. Each year, the butterflies head south to winter mostly in either California or central Mexico. While most end up in Mexico, particularly those who spend their summers east of the Rocky Mountains, many also overwinter in habitat near Santa Cruz, Calif. But what’s happening in California as far as monarchs are concerned is alarming. “A lot of the concern is focusing in on California,” said Beth Waterbury, retired wildlife biologist for Idaho Fish and Game in Salmon. 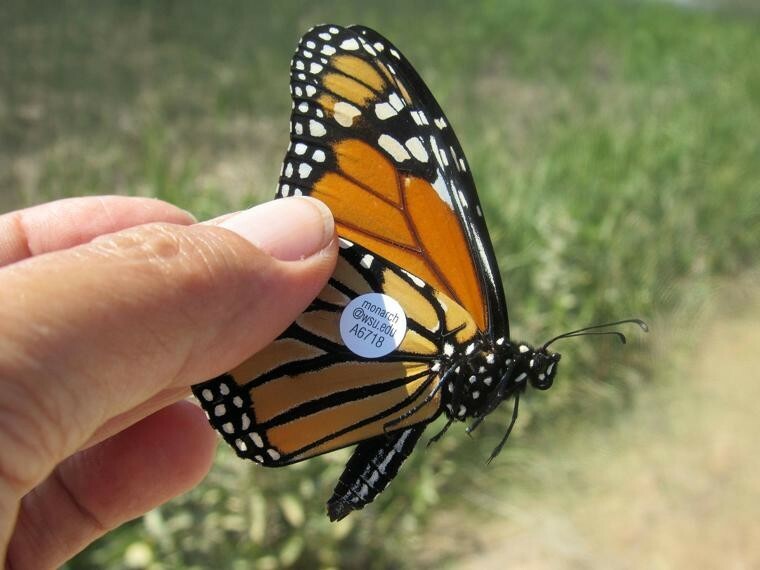 Waterbury helped head up a monarch study in Idaho, collecting, tagging and documenting the species especially in eastern Idaho. Waterbury said other contributing factors include wildfires, pesticides and hot weather. “Monarchs don’t do well or reproduce when it gets up to 90 degrees or hotter,” she said. “We want to conserve all of our biodiversity just on its own sake,” Waterbury said. “There is a role that monarchs play that is very important to humans and that is as a pollinator and if we don’t have pollinators on our landscape to pollinate our crops, to pollinate native plants, we’re going to lose about three-quarters of the plant species on this planet and a lot of our food resources.